Last week, I participated in a CEO shadowing day, at the Ottawa Senators Foundation, through the CEOx1Day program. A few months ago, I applied for a program called CEOX1Day, developed by Odgers Berndtson, a global executive search firm. Eighteen students were paired with CEOs from some of Canada’s leading organizations as part of a unique job shadowing program. 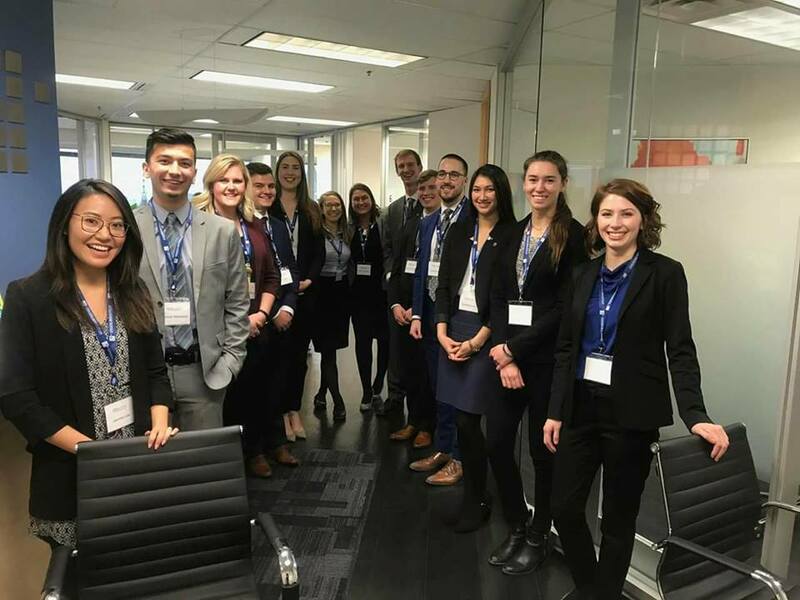 18 CEOx1Day finalists came from 13 universities across the country, (3 finalists from Ottawa) and were paired with CEOs from various industries. Participating CEOs in 2018 included 10 of Canada’s leading women executives, encouraging the normalization of strong female leadership. In October, I applied online with a written Q&A, and was selected to move on to a leadership assessment by Hogan Assessments. Following that, I underwent a telephone interview with a recruiter from Odgers Berndtson. 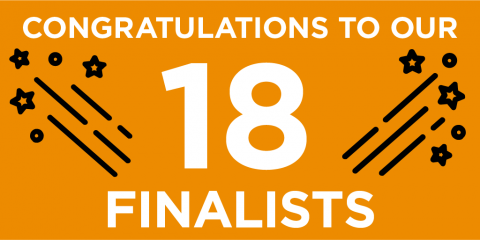 Then, I was chosen as a semi-finalist along with 10 other students in my region, and participated in a half-day evaluation conducted by Odgers Berndtson and its partner, McKinsey & Company. The day consisted of a series of exercises and workshops to assess my communication and interpersonal skills, teamwork and problem solving. My favorite exercise was the speed interviews, where I had six interviews back-to-back, which lasted 7 minutes each. I learned a significant amount during that day, about creating positive first impressions, teaming, and handling group style evaluations. A few days after the evaluation, I received an email announcing that I was one of the finalists, with the opportunity to shadow a leading CEO in Ottawa. When I originally applied, I submitted a preferred organization between 3 different leading organizations to shadow. I chose the Ottawa Senators, because of my passion for sport, what the Ottawa Senators does for the community, and its ability to bring people together. 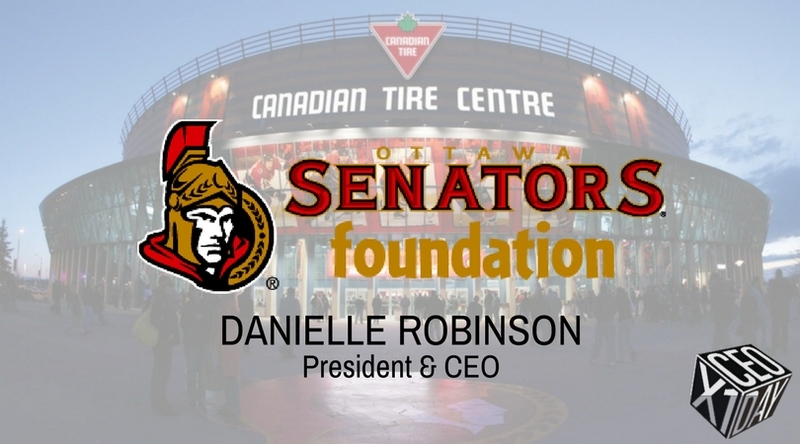 Because of corporate leadership changes, I ended up shadowing the President & CEO of the Ottawa Senators Foundation, Danielle Robinson instead, which worked out even better, with my enthusiasm for not-for-profits. 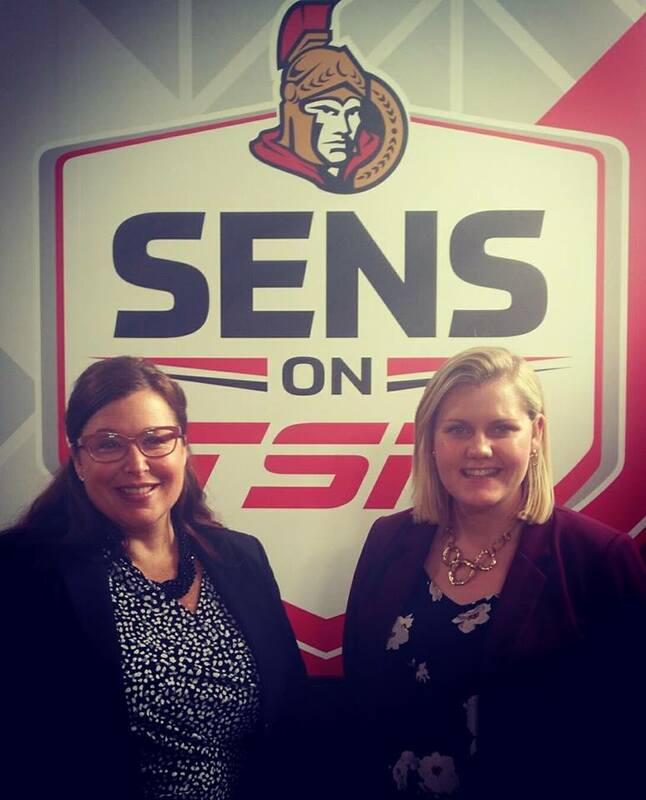 I had the opportunity to shadow her on the day of the Ottawa Senators Foundation Telethon, celebrating and supporting various families positively impacted by the work of the Foundation and Hockey Club. Danielle Robinson has been working with the Foundation for the past 9 years, and has an incredible passion for paying it forward, community and people. It was an honour to spend the day with her, and soak up all her wisdom, knowledge and experience. 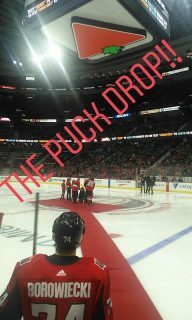 It was extremely kind and generous of her to allow me to spend the day with her, especially on such a busy day of the Ottawa Senators Foundation Telethon. The telethon, powered by Mitel, introduced viewers to people who have been impacted by the Foundation’s work in an effort to raise funds and awareness for the programs it supports. 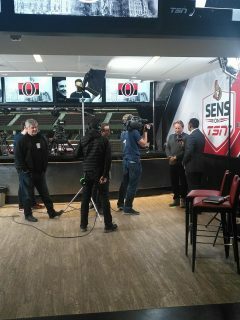 The broadcast focused on the Sens Campership program, Project step, The Organ Project and Roger Neilson House. 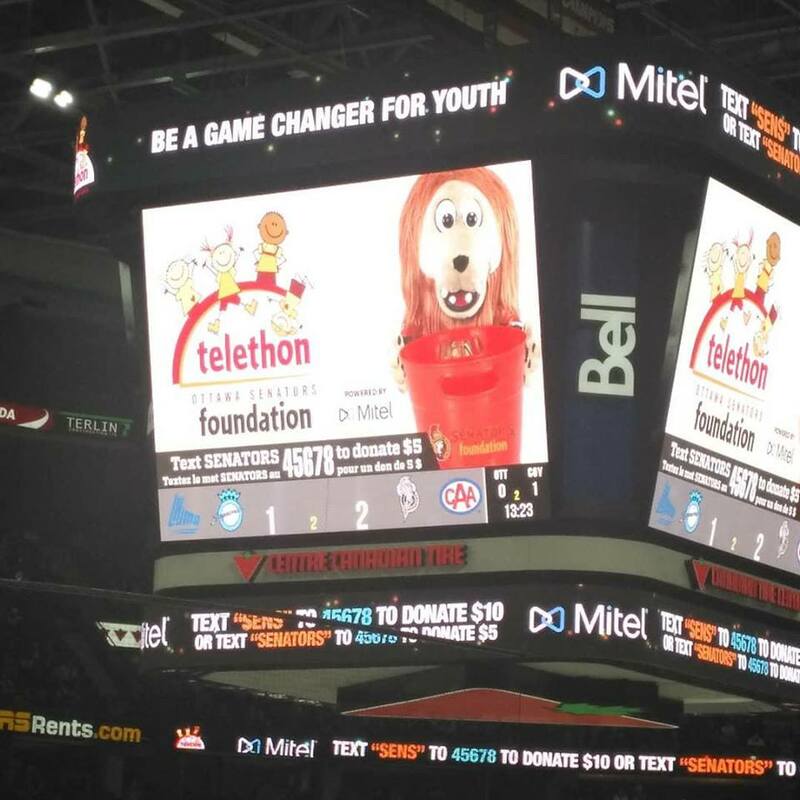 The Foundation raised $100,885 the day of the Telethon. For more information on these programs, please visit their website to learn about some of the amazing families and their stories. The day started at 8 am downtown Ottawa, at the CTV station, for Danielle’s first radio interview, and then the rest of the day was spent at the Canadian Tire Center. Throughout the day, Danielle had various interviews at different set-ups in the building, and I was fortunate enough to follow her to those as well. Because I have done TV and radio interviews while competing on the National Team for Taekwon-do, I was excited to watch her, as the face of the Organization and Foundation. 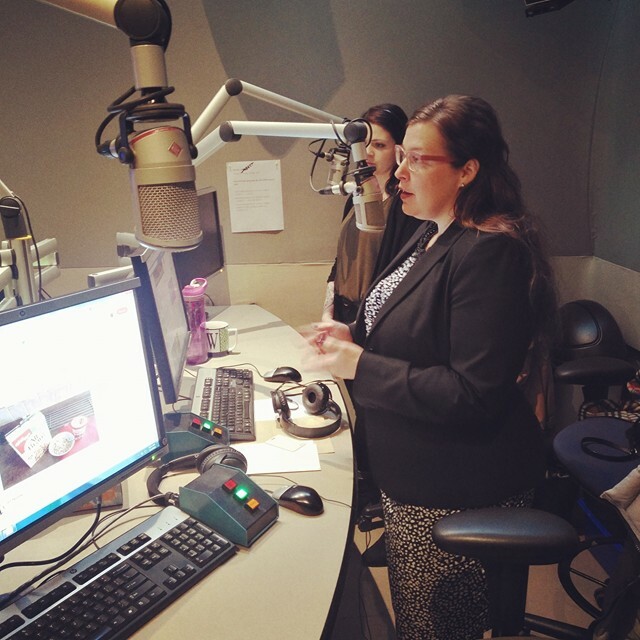 It was beneficial and educational how she handled every situation with such poise, and she was extremely well spoken. Because the event was so well organized, in between her interviews, there was still time to learn more about the organization. 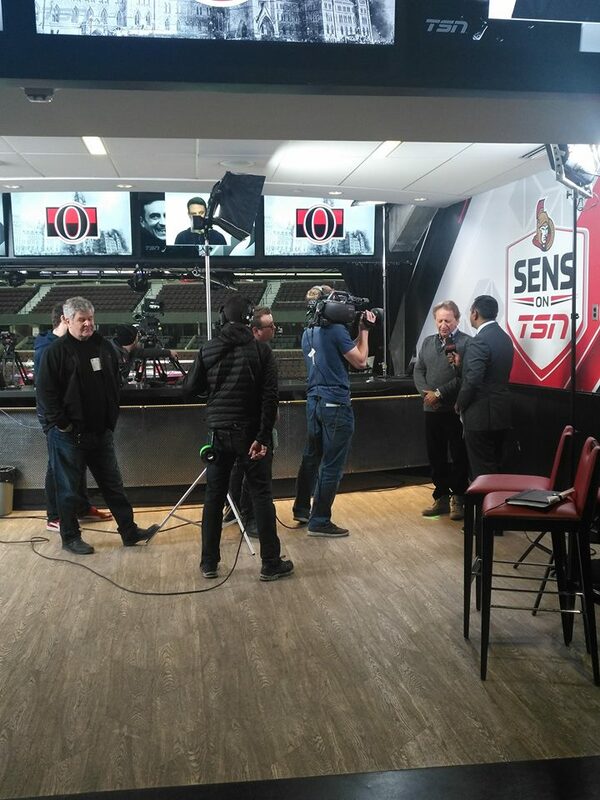 Danielle took me on a behind the scenes tour of the building, we watched the Owner of the Ottawa Senators, Eugene Melnyk be interviewed by TSN, and I was lucky enough to spend an hour with Michael Wallace, Senior Director of Marketing for the Ottawa Senators Sports & Entertainment. It was fascinating to learn about the internal breakdown of roles, and operations of the Ottawa Senators, as well as learn about Michael Wallace’s career path and insights into the business. At night, I had the privilege of meeting some of the families and individuals, highlighted and featured in the videos above. Their stories are so inspiring, resilient, and full of love. 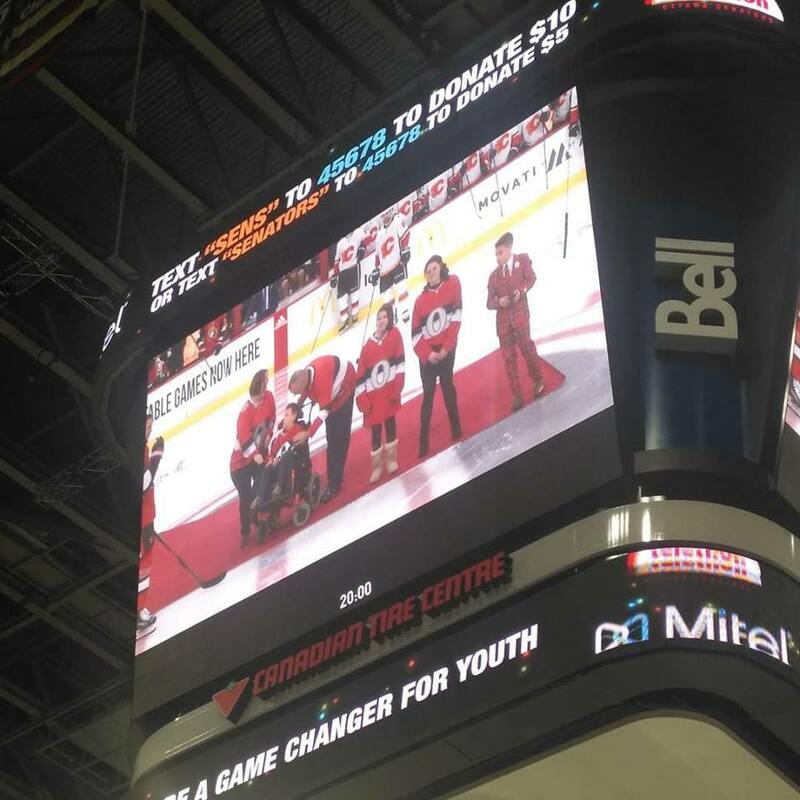 Being able to truly see the positive impact the Ottawa Senators Foundation actually has on the Ottawa community was magical. It was beautiful to see the generosity of others who made donations throughout the night, volunteers lending a hand, and the enthusiasm expressed by the crowd. I have watched hockey games at the Canadian Tire Center multiple times, but I sat there, watching the game from a different point of view. 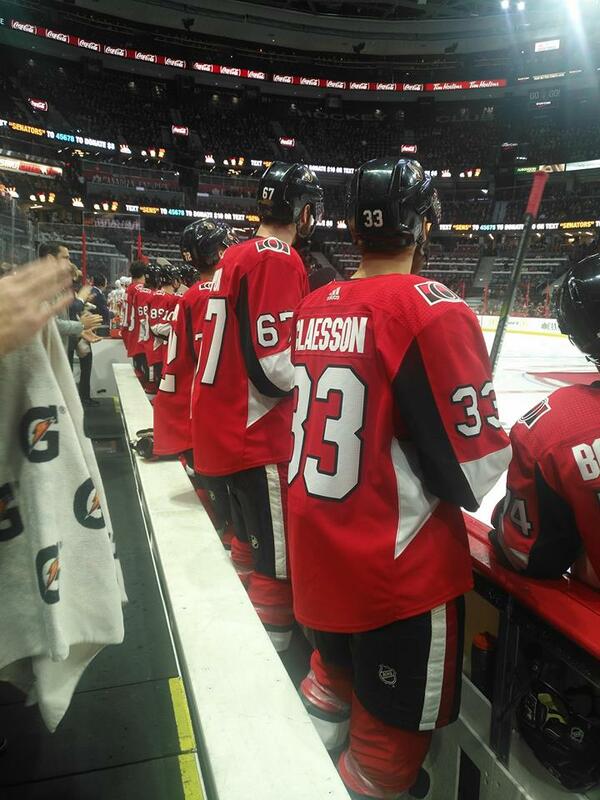 It truly is incredible, how much the Ottawa Senators means to the Ottawa community. I felt lucky too, because I had a lot of time to talk with Danielle one-on-one during the day. It was empowering to watch a strong female in a position of leadership, so well respected. Her presence and passion exudes confidence, and she uses her position to empower her team, and to create positive change within her workplace, and community. Thank you Danielle for allowing me this special opportunity and for being an important role model for myself and the future women in business, and in management positions. I would also like to thank Danielle’s team, and Michael Wallace for sharing your stories and insights throughout the day, and Odgers Berndtson, for developing this amazing CEOX1Day program. I will remember this experience for years to come.